Share the post "The Blog Lowdown – The Reading Residence"
Welcome to the start of a new series that I’ll be running here every Sunday evening, The Blog Lowdown. As a blogger, I’m curious about other blogs. I’m also always happy to share what’s happening here with my blog, and hopefully, it may end up being helpful to someone, somewhere. And so each week, I’ll be asking a fellow blogger to answer a few questions about their blog and share a few tips on anything blogging/social media-related that they’d like to. What sorts of questions and tips? Well, it only makes sense to kick the series off with me, so here you go…. I’m Jocelyn, 36, and a mum of two little ones. I run a cards business from home, and I have my family and lifestyle blog here at The Reading Residence. Last July, 2013. I feel like a very new blogger, though I sort of can’t remember not blogging, if that makes sense?! 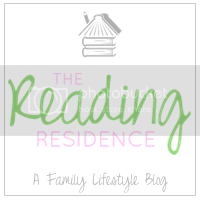 The Reading Residence (so-called as Reading is our surname, and we also love our books), is a family and lifestyle blog. I write about pretty much anything that enters my head, so it might be family fun, things the children get up to, the kids creativity, reviews of items we love, hobbies that I’m taking up, thoughts that are rattling round in my mind, stuff that I’m loving – anything really! It’s my little space to do with what I will. The brilliant Jen, at Magic Feathers designed the banners, sidebar headings, background, social icons etc. for me. I then chose the theme and uploaded it all. It’s only been looking like this for a week, so I’m still very much in love with it! I blogged more about it all here. My give-away posts are always very popular, as you’d expect. I only launched my Word of the Week (#WotW) linky in January, yet those posts are quite high already on my all time views chart, so they are very popular. And then I find that the more ‘pinnable’ posts do well, the ones with searchable content. I try to divide my posts up in my mind like this, as some are purely for me to enjoy, reflect on and they may do well that day for me, for example, my #MagicMoments and #WhatsTheStory? posts. They’ll get plenty of interest and comments the day they’re posted and a few days beyond that, though they may not have the long term hits that something like my Banana Loaf recipe has. It received barely any views or comments when it was posted, but is amongst my best viewed posts, as it does well on Pinterest and search engines. I like to keep busy and active with my social media accounts, and I’d say Twitter is the one that’ll get me the most views each day, and Pinterest ticks over with some of my older posts. Of course, search engine optimisation helps, and I’ve recently installed the Yoast plugin for WordPress which I’m finding really useful. And my favourite method would be good old-fashioned chat! By that I mean, tootling about and commenting on other blogs. I love reading other blogs, whether it be via linkys, my Bloglovin feed or seeing posts pop up across social media. OK, I like quite a few, and I list them over on my Linky Love page, so take a peep there for the whole range. I rarely miss a Magic Moments or What’s the Story? as I really enjoy these two on a Monday. I love sitting down to be inspired for fun things to do with the children on a Saturday with Country Kids, and on a Tuesday with Let Kids Be Kids. Silent Sunday and Project 365 are favourites, as I’m taking more of an interest in photography lately. And for developing my new-found gardening habit, I’ve got to give the legendary Mammasaurus a mention with her How Does Your Garden Grow? I love the ‘winning’ element to The Theme Game, and the real diversity of interpretations and posts that it invites, and of course, I really look forward to reading how everyone’s week has been in Word of the Week. Friday is my busiest day. It’s Word of the Week day. I also link up with #ThePrompt and #PoCoLo most Fridays, so they send more traffic my way, too. Tuesdays are busy, too, as I have The Theme Game running and normally join in with quite a few linkys that day. And Sundays – I think Silent Sunday is a popular linky and I try to comment on quite a few other blogs there, which tends to get reciprocated. Now, I do not profess to be an ‘expert’ here, as I’m quite new to this, and this isn’t what these tips are about. They’re about sharing what works for you. – You need to be passionate about the theme/idea yourself. They are quite a bit of work to promote, comment and run, so choose to do it on something you love, so that the task doesn’t become onerous. – Run your thoughts by other bloggers, or start linkys together. It’s great to bounce ideas off others, and Iona at Redpeffer and I were bouncing things all over the place to come up with our joint linky, The Theme Game. And as we run it together, we can take it in turn to do things, taking the pressure off if needed. – Work on a name for it, get a hash-tag ready (and check that it’s not already in use) and design your grab badge. This is the more technical side, but you’ll need it and feel better once you’ve sorted it all out. I use Grab My Button Code Generator for mine, and there are plenty of tutorials around on how to do them. You’ll also need a linky list provider. I use Linky Tools, but there are lots out there. – Promote it in advance of launch across social media and get in touch directly with bloggers that you know, or that you think it will appeal to. Once it’s live, continue to promote it across all of your social media channels, use your hash tags and talk to people about it. You need to be genuinely enthusiastic, consistent (if you say the linky is open every Tues, then make sure it is, and ideally scheduled ready for a set time. I have plenty linking up with me straight after links go love at 6.30am, so the earlier the better, for people’s convenience), and be friendly! – Go for it. Believe in it. If you like the idea of writing a post regularly that fits with your new linky idea, then what have you to lose by writing the post and inviting others to link up, too? If it inspires one other person to have a go, too, then that’s brilliant. Remember, linkys are supposed to be fun, not stressful, so try not to be nervous or have lingering doubts, just give it a whirl! I almost shelved #WotW as I was convinced it wouldn’t catch on, but then I decided that I wanted to write a weekly post summing up my week in one word, and if people joined in, then that was a bonus. And to my continued delight, people do join in and I absolutely love reading each and every post! Twitter @ReadingRes, Facebook, Google+, Instagram, Pinterest, Bloglovin. I hope this has been an interesting read, even if just to be nosy! As I’ll do every week with this series, I invite any questions in comments, too. Do join me again next Sunday, where we’ll be finding out more about Iona and her blog, Redpeffer. Would you like to give us the lowdown on your blog, too? The series is currently booked up to early May with wonderful bloggers, but get in touch with me at jocelyn@thereadingresidence.com if you’d like to feature here some time after that – be lovely to hear from you. What Has Your Sofa Seen During Its Lifetime? So lovely to read about you from a blogging aspect. Your tips about starting a linky are very helpful too as I have just started a Children’s Artwork linky and I need to get a grab my badge code added. Boo Roo and Tigger Too recently posted…Pop Chef – Push, Pop and Eat! Loved this post Jocelyn. Actually quite inspirational. Can’t believe you launched just two months after me – I would have thought 2 years before me! And I have to bookmark this as am planning to launch a Google Plus linky soon (hopefully beginning of April). Thank you very much. So pleased you found it helpful and I look forward to your G+ linky – it’s a world that I’m just getting used to, so I’ll be interested to see how to use it more. Great tips Jocelyn and lovely to get to know my virtual friend a little more 🙂 Thank you! Great idea for a series of posts, lovely to read about you. Interesting to read about Linky’s too, I join in with a few and am always amazed at how much effort the owners put into them. Thanks very much. Yes, I love hosting them, though they are a fair bit of work. That’s why you need to love them! I’m going to make sure I read this post every week – such a good idea. I’ve never even considered starting a linky because I don’t think anyone would join in plus I never seem to be able to think of ideas that haven’t been done. All power to the linky-makers! Thank you, glad you like it. I do love reading about other blogs and getting tips from others like this. I’m sure you’d get people to join in, but yes, coming up with new ideas can be tricky, as so many good ones out there! What a lovely idea, I could do with some tips on how to say ‘No’ at the moment. Feeling slightly overwhelmed with blog demands at the moment after my hols! This is a great post. some really useful stuff here for a new blogger like me! Thanks for sharing! really really useful stuff there, though I feel to new to do something like this myself. I don’t even know how much traffic I get to my site or anything yet. Thanks, glad you found it useful. You’ll get there! I’ve been reading your blog for while now but never realised that reading was your surname! I jut assumed it was from reading books! What a fab post! I think this will definitely help other bloggers and not necessarily new ones either! I had to breathe very deeply reading this and hold back from flying into a panic realising how little I know despite blogging for over a year! Thanks for such an informative post. I’m excited to start following up on some of your suggestions. 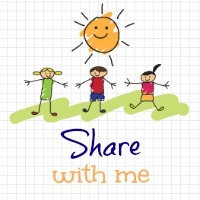 Planning to read some more of your posts as I get the feeling I’m going to learn a lot from you! Thanks very much, and I’m sure you know loads more than you think! Ahh Jocelyn – top notch advice as always! I’m so worried I’ll fall flat on my face!! Thank you for sharing, Jocelyn, what a great post! I’ve learnt a lot!